I think we have found our newest teen heartthrob, and we’re super excited about it. Ross Butler, who initially played the role of Reggie Mantle in Season 1, respectfully decided to leave the show before its second season to focus on his other gig playing the character of Zach on Netflix's "13 Reasons Why". (Busy bee!) We were sad to here the parting news, but we quickly realized we had no reason to worry when we found out Melton would be taking over the role! “Ross did a great job, and I think the opportunity to play my version of it is very exciting,” Melton told us. 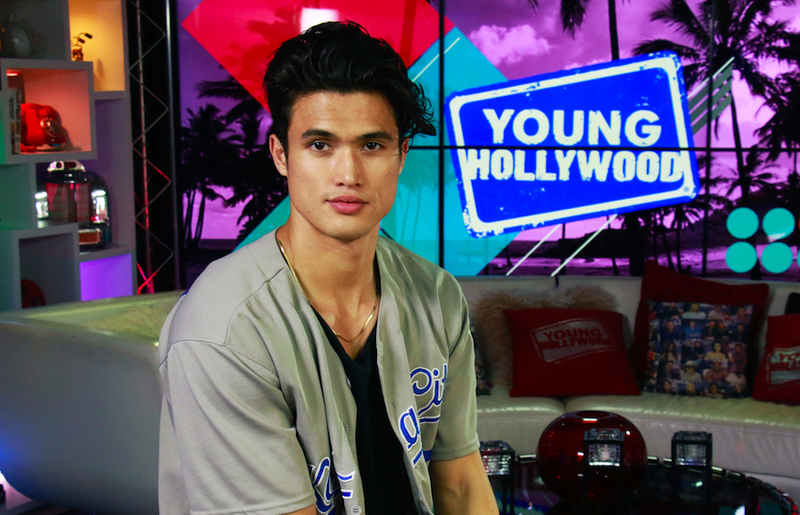 Charles was definitely “Melton” our hearts here at Young Hollywood… and if he hasn’t melted yours yet, you’re going to want to check him out this coming season on "Riverdale". It’s about to get a whole lot darker trying to figure out who shot Fred Andrews, and a whole lot hotter because of their new cast member! Check out our 2-part interview below, and be sure to tune in to Season 2 of "Riverdale" Wednesdays at 8pm on The CW!